Selling a house is challenging in and of itself, but when you add to that young kids who live in the house your challenge level goes up. Not only do you have to depersonalize and declutter your home you also have to take into account your children still want to play with their toys and may not be that eager to help you clean up for a late notice showing appointment. Rest assured you can still get your home ready for sale and keep it ready for showings with the following great tips. One key aspect to selling your home with kids is explaining to your kids the fact that you are selling your home and the reason for selling your home. While this is also age dependent the level of explanation may be a simple one of we need to sell our home to move for a job, to get a bigger house, to get some other features in a home not currently present in the home you live in or something else. Older children may need a little better explanation as to the reason why a larger home is needed like due to a growing family we need more room for you and your friends to be able to hangout or due to a better job opportunity the family is moving to a new area to start a new adventure. Kids need assurances that too many changes are not happening at once or these changes are not that great. If the move is local kids knowing that they will still be close to their friends and in the same school can help them feel more at ease about the transition. Where the move is a greater distance, then explaining to children the reason for the move can help children them to understand what is going on and the family as a whole is moving together. For some more tips on explaining to your children the move and how to make it easier on them be sure to check out the links in the Additional Resources section below. One of the most critical aspects for selling a home is making sure you properly prepare it for sale. Not only must you make the proper preparations prior to putting your home on the market but your home should be in a ready to sell condition for pictures and videos that will be used to market your home on the internet. With over 90% of home searches starting online your home must shine in those pictures and videos in order to make the buyer want to see more of your home. Proper home preparation should include decluttering and depersonalizing. By decluttering you should remove excess toys, collectibles, and other items that can make rooms look busy, small or full. Depersonalizing means taking down photographs, kid’s artwork, kid’s trophies and other items that make the house look like your home. The idea behind decluttering and depersonalizing is that you want a blank slate for buyers to be able to draw their own picture of them living in your house. By letting buyers envision themselves living in your house you make it easier for them to move onto the next step and make an offer. Other important areas to tackle in getting your home ready for sale include painting walls to cover up little artist doodlings on the wall. Steam cleaning or replacing carpet that has excess staining or excess wear/damage from heavy foot traffic and from kids and pets is something you should consider as well. If your carpet has odors from food spills, pet or kid accidents and the steam cleaning does not get rid of the odor, replacement of the carpet should be done. While your home may look great in pictures on the internet, you don’t want to turn off potential buyers when they come into the home and discover odors that just will not go away. Especially for odors that have soaked into the carpet pad, replacement is the only thing that will get rid of the smell. Once you have tackled the interior of the house don’t forget to also address the outside of your home. Are your windows clean, landscaping tidy, paint look relatively fresh? Having great curb appeal with the exterior of your home is a key selling point for when buyers come to visit your home. If there is no curb appeal that could be a major turnoff for buyers. If your lawn or other parts of your landscaping has excess wear and tear from kids playing sports, running around or just exploring nature make sure to patch those spots up. Worn lawn areas should be re-seeded and watered ahead of time to make sure the grass starts coming back green and full. Your kids may need some encouragement to not play in those areas to prevent further wearing down of those lawn spots. But if you do everything right in terms of pricing your home properly and preparing it properly as noted above it should sell fast and your kids will have a new yard soon enough to play in. If your kids are anything like my kids even if you give them something to do on their own they will still keep coming back to you to talk about what they just did or something they need to complete a task. If they are not coming back to you then it may be the kids are fighting amongst each other which require parental intervention. All of this can be a distraction when you are trying to get your home ready for a showing which slows down your process and leave you unprepared for buyers. A better way to prepare for showings is to get your kids involved by assigning them tasks to do which are appropriate for their age level. If your kids toys are still spread around the play room encourage your kids to pick them up and put them away so the buyers can see how nice the house looks. Have your kids help with other activities like putting away magazines, newspapers, pet toys where they belong or into temporary storage locations. Turn the activities into a game so that your kids have fun helping you get ready for a showing. Remember the games will need to be changed up every so often so the kids don’t complain of boredom after having done the same thing a number of times. If you are in the situation where your kids are unable to help and will interfere with your work then it is best to have a game plan of having a close by friend or relative watch your children while you prepare for a showing. By having a game plan of where your kids go you can concentrate on getting your home in order in short time. While there may always be the chance of last minute showings be sure to talk with your Realtor about setting realistic lead times for showing appointments. There are many more activities that could be added to this list but you get the idea. 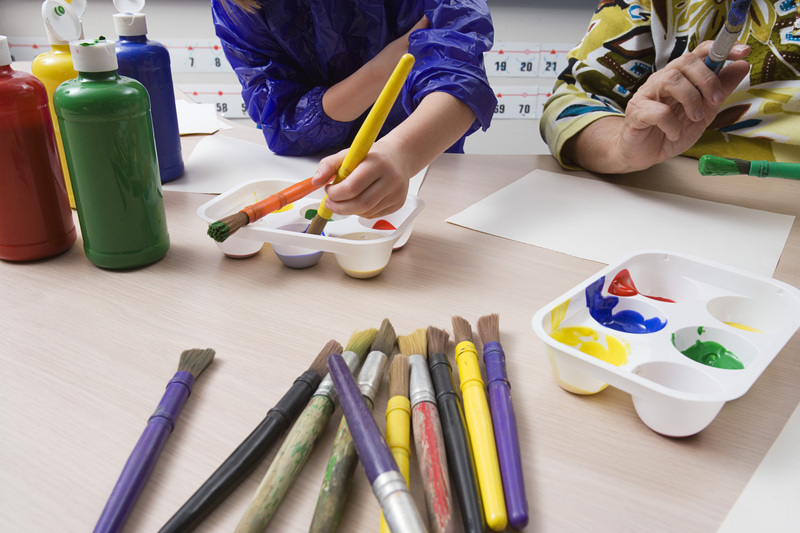 Keep your kids busy and entertained and it will be less of a stressful event each time you have to leave the home. Selling a home can be an involved process that becomes even more complicated when you have young children in the home. Your best best is to start well in advance of your home being on the market by letting your kids know what is going on and repairing/renewing some of the areas of the home the kids may have been a little rough on. 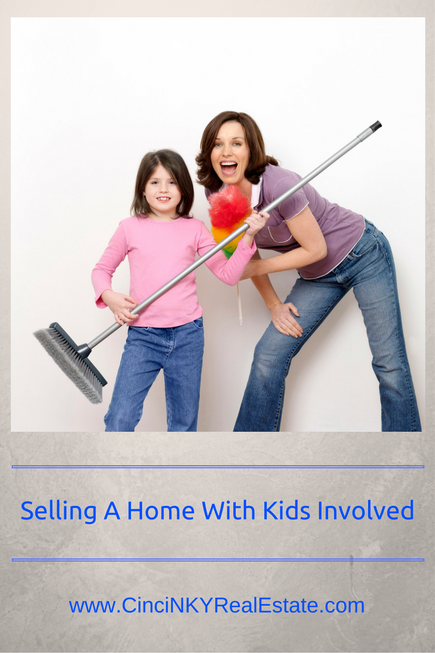 Have a game plan and stick to it and you will be successful in selling your home with kids. About the author: The above article “How To Sell A Home With Kids” was provided by Paul Sian. Paul can be reached at paul@CinciNKYRealEstate.com or by phone at 513-560-8002. If you’re thinking of selling or buying your investment or commercial business property I would love to share my marketing knowledge and expertise to help you. Contact me today!